Do you own a business? Want to extend your business? 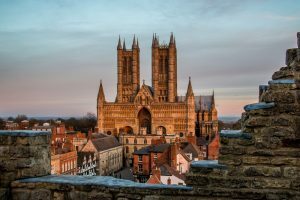 Are you planning to start a new business in Lincoln? If any of the answer for this question is yes for you, then in that case you might need our help. We at Miranda Management and Accountancy Services Limited, we provide all sorts of accounting related services. We understand how tiresome it is to maintain a business of your own. Hence, it is better to take help of a professional who know how to deal with the accounts. So, you leave your worries on us and we will help you with your accounting related issues in your business. We have the most efficient and hardworking auditors in Lincoln area. We assure you the best accounting assistance. Miranda Management and Accountancy Services Limited excel in providing the best management and accounting services. We deal with bookkeeping, compilation of annual and marketing report, auditing, payrolls, calculation of taxes, maintenance of accounts and balance sheets, bank reconciliation, providing infrastructure cost benefits etc … We take significant amount of time to understand the client’s business requirements, and deal with the most difficult situations with ease. Once you decide to include us on board there are no chances of regrets and that is our assurance. Client requirement is our first priority and we at Miranda Management and Accountancy Services Limited work day and night to provide quality services to our clients. We value customer feedback and work hard to make it a better experience for our future customers. At Miranda Management and Accountancy services,we believe in quality services and transparency. We keep in touch with our clients and update them with the work related progress. We assure you that we provide the best management and accountancy services in Lincoln area. You can call us to book an appointment for a free consultation.